Whether you think fourteen (14) days in Cambodia is too long or too short, we just have one thought for you: your 14 days can be amazing. No time to come up with an itinerary? Well, that’s why we’re here. To put structure in your Cambodian tour. To calm that travel schedule frenzy. To provide you with suggestions to make your 14 days in Cambodia a magical experience. We divided your 14 days to FIVE (5) major destinations in Cambodia: Siem Reap, Battambang, Phom Penh, Kampot, and Sihanoukville and of course lets not forget The Cambodian Islands. 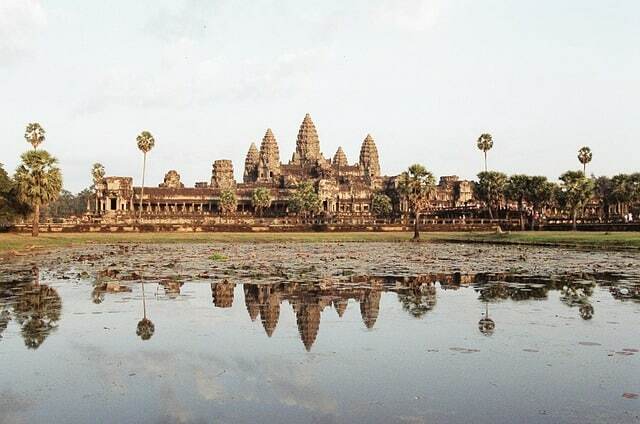 Our 14-day itinerary begins at Siem Reap, of course, Cambodia’s most popular tourist destination. Yes, you are right: Siem Reap is the home to the great wonder that is Angkor Wat, and the temple complex. This itinerary has been developed with the independent wandering traveler in mind, however, you may also want to take a good look at our adventures packages, these offer consolidated tour options for different days with the benefits of substantial savings for those that want to travel with a group. After spending your first night in Siem Reap in our Mad Monkey Hostel, a backpackers’ best haven in Southeast Asia, today is your official Day 1. (other suggestions down the page) And since you deserve a spectacular welcome to Cambodia, Day 1 should be devoted to a full-day siem reap tours—and to be continued the following day (yes, a two-day tour), because you ought to experience the best that the major temple ruins in Cambodia have to offer. Of course if you dont want to stay with us, ( party hostels are not for everyone) then consider these options. Families – The best option would be to rent an apartment short term from Karavansara Residences, they have two pools and are located in a great area, or Steung Siemreap Residences are also good, a great family hotel i would suggest is The River Garden Siem Reap. Happy Angkor Tour, a group of famous tour guides licensed and recognized by the Ministry of Tourism, suggests this less-crowded two-day Angkor tour. With their many years of experience touring folks around Cambodia, especially in Siem Reap, it is wise to listen to them, or you can simply book your tour at The Mad Monkey and visit the temples at your own pace. Start your morning at Angkor Wat, followed by Angkor Thom (Bayon, Elephants Terrace, Palilay, Dead gate). In the afternoon, visit Prah Khan, by walking on the small path through the jungle to enter the temple from the south gate (less tourists), then enjoy the sunset at Phnom Bakheng. Hostels -The Mad Monkey, best hostel in Siem Reap (in our opinion) – also you can try Hi Siem Reap or One Stop Hostel. Catch the sunrise at Angkor Wat before you eat your breakfast. Then visit Pre Rup, built as the state temple of Khmer king Rajendravarman, and Banteay Samre—and you may avoid the crowd by entering the east entrance by walking on the ox-cart path through the local village, which is flanked by a rice paddy field and Cambodian traditional houses. Afterward, head off to Banteay Srei, a 10th-century Cambodian temple dedicated to the Hindu god Shiva. In the afternoon, visit Ta Promh (from north entrance through the jungle), then the sandstone-made temple-mountain Ta Keo. Then visit the Artisan D’Angkor, for some Cambodian fine arts and crafts, then enjoy the Floating Village on Tonle Sap Lake at Chong Kneas Village. Cap off the day with a scrumptious dinner while enjoying the Cambodian Traditional Performance (Apsara Show). Go for an adventure at the Phnom Kulen National Park with various activities of your choice: mountain-biking through jungles and streams, see the largest reclining Buddha statue in Cambodia, the Buddhist temples and ancient Hindu carvings in riverbeds, and take meals by the waterfalls. The Mad Monkey offers the lowest cost Phnom Kulen tours available for backpackers on a budget, check our day tours for more information. After the previous day’s adventure, rest your sore muscles and visit the Cambodia Landmine Museum and the The Angkor National Museum. You can also visit the Khmer Ceramics Fine Arts Centre and take home some souvenirs. 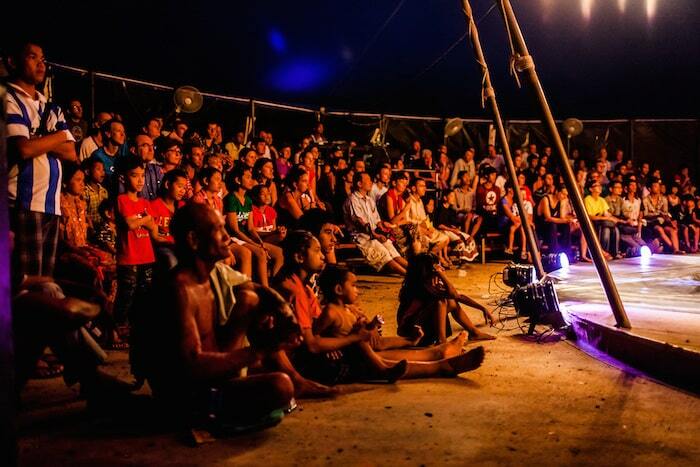 In the evening, attend a must-see show: Phare, The Cambodian Circus, one of Siem Reap’s tourist highlights, which got plenty of 5-star ratings at Tripadvisor. It’s a unique live show that tells Cambodian stories through a fantastic combination of circus, theater, and musical. You can visit the tours section on our website, which organizes a Phare Tour or you can simply book it at The Mad Monkey if you are staying with us. Another popular tourist destination, all be it a less traveled one is Battambang. Get a tuk tuk driver/travel guide, or rent yourself a bike and go on a DYI full-day Battambang tour: mingle with the locals, visit small villages, including the cultural village of Watkor, and the agricultural villages of Kompong Seyma and Ksach Puoy. 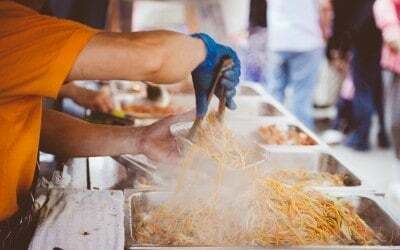 There, you must try the food stalls, visit the Battambang Provincial Museum, and bike your way up north to the Ek Phnom temple, an Angkor-type temple ruin. Unfortunately there is no Mad Monkey hostel in Battambang, but we can recommend the following hotels based on our experience, , we have stayed in them all and would be happy to again, we wont recommend anything that we have not tried ourselves! Families – I can highly recommend the Battambang Resort, awesome owners and great for families. Luxury Hotels – Vimean Sovannaphoum Resort or Bambu Hotel otherwise. Mid Range – The Delux Villa is the top choice for romantics, Au Cabaret Vert is also great. Budget Hotels – The Emerald Hotel is great, Seasons Guesthouse would be my second choice. Hostels -Here be Dragons, My Homestay, Ganesha Family Guesthouse, all should be available to walk ins. This is you Phnom Sampeu Day.Take the infamous Bamboo train and feast your eyes with amazing views until you reach Sampeu Hill. There, visit the Killing Caves and see thousands of skulls and bones and be transported back in time to a macabre Cambodian history of Kmer Rhouge violence. Up at the hill, there’s a colorful monastery and restaurants. And, of course, melt your heart away with the stunning view from the top. It is recommended that you also visit Buddha caves, and especially the bat cave at sunset and witness their mass exit against the dramatic backdrop of the orange sky, over one million bats take flight at sunset and it really is something memorizing to see. Yes, two days in the capital city. After a night at the Mad Monkey Hostel at Phnom Penh, go sightseeing and understand Cambodia’s important history by going on an audio tour at Choeung Ek Killing Fields memorial, a pagoda made up of some 8,000 human skulls, then proceed to the Toul Sleng Genocide Museum, which chronicles the Cambodian genocide. After a Khmer lunch at an NGO training restaurant, visit the National Museum of Cambodia for a sight of beautiful relics and sculpture with lessons on the Khmer Empire. 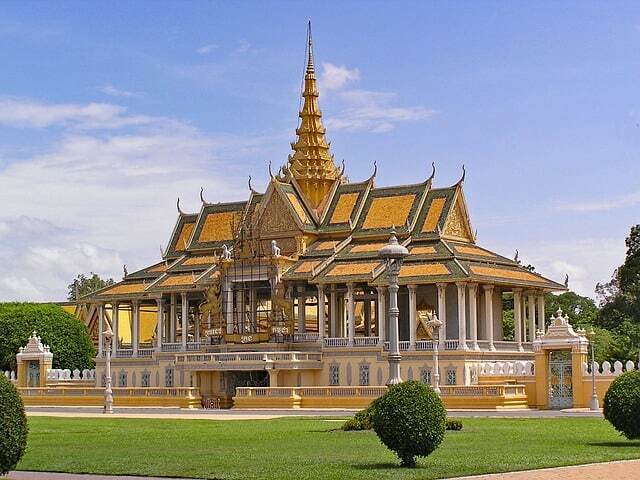 Then, a must-visit is the Royal Palace, home to Cambodia’s royalty since 1866, then take a relaxing stroll at the nearby Sisowath Quay, a popular boulevard home to cafes, shops, palm trees, and manicured lawns. At night, experience more Cambodian art at the Meta House, where they screen movies about Cambodia, some experimental video art and live music — all free of charge! If you really dont want to stay at The Mad Monkey it is OK, we know that Phnom Penhs best party hostels are not for everybody. Families – I can highly recommend the Billabong Hotel for family stays. Mid Range – There are some great choices here, if it were me I would stay at One Up Hotel, Patio Hotel Phnom Penh or Plantation Hotel Phnom Penh, they are all reasonable cost and similar to the experience you would expect to receive in a 5 star hotel. Budget Hotels – In my humble opinion you would get a better stay at one of Phnom Penh’s best hostels than going to the budget hotels, many of which you can rent by the hour. Trust me try the hostels. Hostels -The Mad Monkey Hostel – Of Course! But if you dont want to stay in a Party Hostel we have listed the best Phnom Penh’s best hostels for you in another article under our backpackers guide to Phnom Penh. Early in the morning, take the tuk tuk to cross the Japanese Friendship Bridge and take a ferry boat to reach Mekong Island, where you can enjoy a leisurely, lazy tour of the island and meet the friendliest folks. 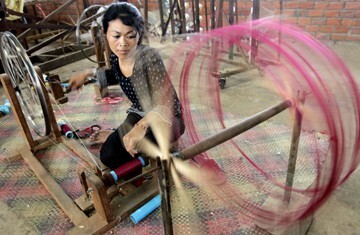 There, visit the Silk Island (Koh Dach) by bike, and observe actual silk-weaving in the village, and buy local products for souvenirs. Visit fish farms, rice fields, and Buddhist temples. Then spend the rest of the day back in the city. Go on a famed Wat Ounalum Tour, no admission fee. If you have more time left, visit the Central Market, Asia’s biggest market, for some more souvenirs and traditional foods. Take the bus from Phnom Penh and visit this relaxing small town in southeast Cambodia, with the riverside as its main tourist attraction, plus the surrounding hills. Your Day 1 should be devoted to the Bokor National Park. Although it is dying from the development of a large casino, ruining the charm of the abandoned French hill station, the stunning views from the mountain is still worth the visit. See the Popokvil Waterfall, the Ruins of The Black Palace, once King Sihanouk‘s residence, and the majestic rice fields. 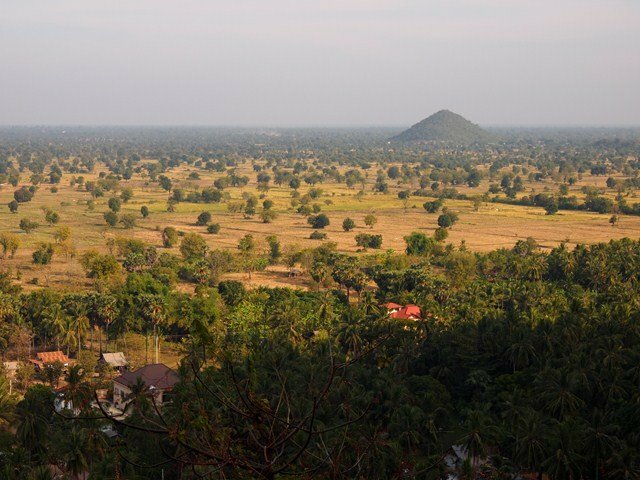 Or you can opt for a Kampot mountain tour. You can travel independently or you can choose to take one of the tour options packaged within the Kampot Kamikaze tour, this is a Mad Monkey tour of the South East and its highly rated, however you will need to be staying with TThe Mad Monkey in Kampot to go on any of the tours as they are exclusive to Mad Monkey customers. You may also go to Teuk Chouu Rapids for a swim and a picnic. Then head on to the Teuk Chouu Zoo for a sight of tigers, elephants, leopards, and gibbons. You will find a full article about the best things to do in Kampot in our 10 Reasons to visit Kampot guide, part of our Kampot backpacker guide articles. Families – I would suggest staying at The Two Moons, it has a big pool and is close to town, otherwise the other pool in town is the Mad Monkey, so i would suggest heading over the river to Villa Vedici if you are dead set on a pool. As Cambodia’s seaside town, Sihanoukville features the country’s most popular beaches. For your first day in Siihanoukville, you might want to avail of the tourist favorite: the full-day island cruise. This will take you to three islands for swimming, kayaking, and snorkeling. The cruise comes with a seafood lunch and drink. If you dont want to go to the islands, but do want to chill on the beach then bed down on the amazing Otres beach, this is a much nicer and more relaxed, backpacker vibe place to stay, the town center can be hectic to say the least and as a rule we normally advise that you avoid it unless you are an absolute party monster, if this is the case then the following accommodation will be suitable. For Families – We recommend Penguin Pablo Bungalow or Ren Resort as the best hotels for families in Shiahoukville. Luxury Hotels – Lakeside Sokha Beach Resort, or the La Villa Zentao are close to town and both amazing, but the best is by far Don Bosco Hotel School. Mid Range – We suggest Eden's Garden, The Sunset Lounge or The French Garden Resort are the best. Budget Hotels – Don Bosco Guesthouse, Mangroves and More would be the only two we can recommended. Hostels – Reef Resort , The Big Easy, Backpacker Heaven, Monkey Republic, One Stop Hostel are all good. For Families – Lazy Beach, probably also the best island resort in Cambodia, not available on booking sites visit lazybeachcambodia.com for bookings. Luxury Hotels – There is only one Song Sar Villa expect to spend $1000 per night, but its the best luxury five star hotel on the islands, if you budget does not go that far try Secret Paradise Resort or Paradise Villas both on Koh Rong Samloem, there is only one luxury hostel on Koh Rong, The Koh Rong Resort, its great, but it wouldn’t be my choice. Budget Hotels – We suggest Sun Island Eco Village on Koh Rong Samloem or head to Palm Beach or Monkey Island. 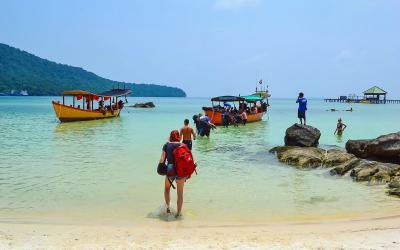 Hostels – By far The Mad Monkey Hostel on Koh Rong Samloem or head over to Ashia or Nature Beach on Koh Rong Samloem. More information on the Cambodian Islands, including a larger accommodation choice per island and some islands that are off of the normal tourist track is available in our backpacker guide to the Cambodian Islands. 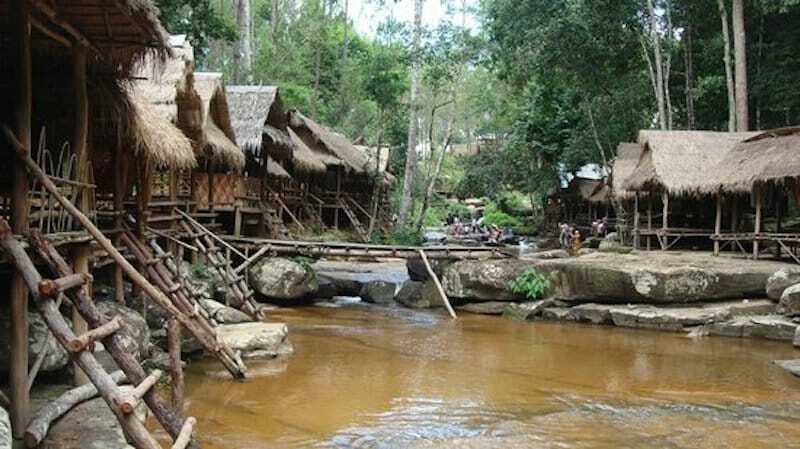 Spend the day at Ream National Park, or officially called “Preah Sihanouk National Park,” for walking tours of the mountain, trips to the waterfalls, safari tours to see birds and small mammals, and to visit the mountainside Wat Ream. In the park are mangrove forests, sandy beaches, the Prek Tuk Sap estuary, off-shore coral reefs, and two islands (Koh Thmei and Koh Seh). Time for relaxation before your last day at Sihanoukville. Go downtown and shop at the central market, the Phsar Leu Market, along Makara Street, with stalls that sell food, clothing, household goods, souvenir items, fruits, and jewelry. Reviewers over at Tripadvisor can give you tips for shopping at Phsar Leu. Then pamper yourself and unknot those muscles by paying the Golden Spa a visit, which is located along Serendipity Beach Road. Afterward, head to the nearby Cambodian Children’s Painting Project (CCPP), an NGO that works with impoverished Cambodian kids, buy some art to contribute, then relax at the Serendipity Beach and wait for the nightly fireworks display. For your last day in Cambodia, visit the Wats, particularly the Wat Leu, a historical and religious site, especially if you are an architecture enthusiast. And also visit Wat Kraom along Indepence Beach, as well as Wat Otres, behind Otres Beach. 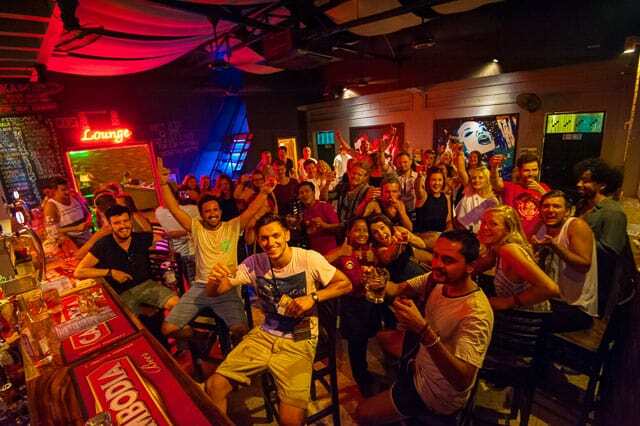 Then spend the night partying at the main strip, where Cambodia’s backpackers come in droves. Take advantage of the Monkey Republic’s happy hour, then head on to Utopia, which sells beer for 25 cents from 10 to 11 in the evening. Dance away at the Dolphin or at JJ’s. You can fly out of SHK airport or PP airport at night, both incur a taxi ride of 2 hours for SHK or 5 hours for PP plus allow yourself at least 3 hours to get to the airport and checked in. If you must fly out from Siem Reap then check out some of the cheap flights available between SHK and SR airports on Ballsaka Air or Cambodia Angkor Air, Cambodia airports also provides a good amount of flight information for you as well. In this 14-day itinerary, we made sure you experience nature, the nightlife, get to socialize with the locals, engage in thrilling adventures, be mesmerized by historical sites, get a taste of Cambodian art, culture, and entertainment, and receive some important and serious lessons on the colorful history of Cambodia, of course this is only set out as a guide, feel free to change plans where you see fit. You will see that there is a lot of information in our backpackers guides to South East Asia to help you, and we are adding more every day. The last thing I would ask from you; well this article runs to about 2300 words and took a considerable amount of time and effort to pull together, is, if you have enjoyed it please press the like button on the left of the page or tweet it for us so other people can find it. The other thing you can do is to use the links or the banners on this site to book your accommodation and Flights, each time you do we get a small commission – even if you do not stay at The Mad Monkey it will help pay for us to keep writing decent articles like this one that help other travelers out. We only recommend writers and blogs that we read regularly and believe will deliver substantial value to our readers that may be considering visiting Dublin. The following is our pick of the top current articles we think are worth reading. Have an awesome link to a relevant well written article that should be included here? Hit us up on Twitter by following and messaging us the link. That is it for our 14-Day Itinerary in Cambodia, we hope that this helps plan your travels, please make sure you stop by at at least one of the Mad Monkeys to say Hi! You can follow us on Twitter or Facebook for further updates!